Includes Everything You Need to Make 3 Ornaments! 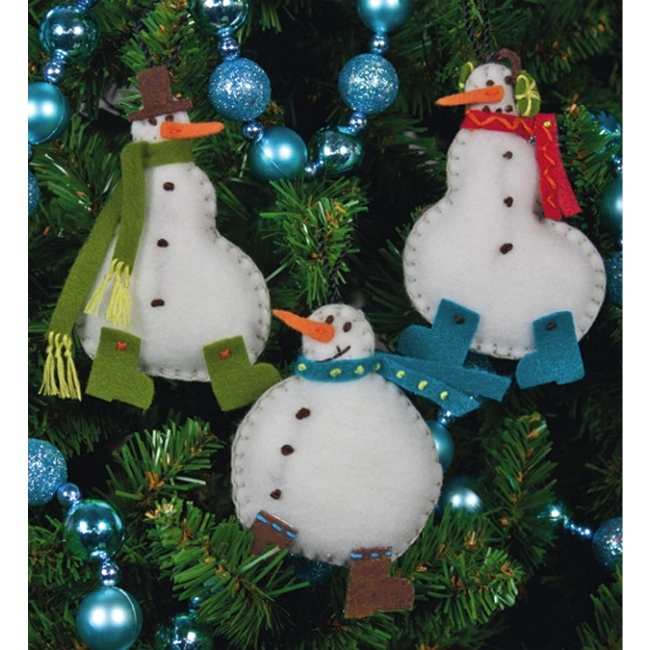 The Simple Snowmen Ornaments Kit is a felt Christmas ornament kit from Dimensions. Kit includes die-cut polyester felt, die-cut acrylic/polyester felt, cotton thread, polyester stuffing, needle, and instructions. Everything you need to make 3 felt ornaments! Finished size of each ornament is approx. 3-1/4" x 5". Felt pieces are pre-punched with holes for easy embroidery & hand sewing. An ideal felt applique kit for beginners & a fun felt craft project for experienced stitchers too! Your handmade felt ornaments will be perfect for trimming the tree or as a special addition to holiday gift packages.